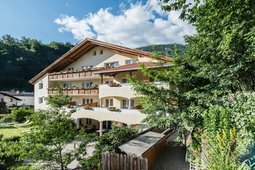 Hotel Saldur is located just a few steps from the Churburg and gives a warm welcome to its guests in an elegant setting with modern standards. The friendliness of the family Theiner and all the staff give the hotel a unique atmosphere. Welcome to the beautiful Tumpaschin farm in Malles, located in a quiet and family friendly spot perfect for hikes and excursions. This is an ideal accommodation for a holiday in the mountains with the whole family, to enjoy unforgettable days far from the usual stress. Treat yourself to a feel-good holiday in the heart of the fascinating and idyllic mountain landscape of the Upper Venosta Valley! The warm and welcoming family-run hotel with its stylish ambience is centrally located on the upper edge of the village of Burgusio. The Apartment House Schmiedhof is located on a hill the middle of meadows. From the spacious and sunny terrace you can admire the little village of Slingia and enjoy a wonderful panoramic view on the untouched mountain landscape of the Upper Venosta region. 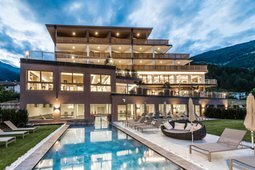 Are you looking for an active hotel in South Tyrol for your holiday together with your friends, partner or the whole family? Then you are just in the right place at the Tuberis Nature & Spa Resort in Tubre in Val Monastero. The Aparthotel Garni St. Stefan is located in the village of Burgusio near Malles, in the Venosta Valley. The St. Stefan offers its guests a pleasant and comfortable atmosphere: experience the warm ambiance of the apartments and rooms, mostly with panoramic view. 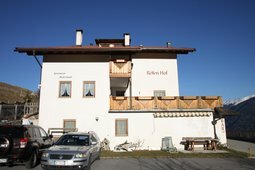 The House Rufinatscha offers you the holiday of your dreams and represents the ideal accommodation for those whishing to relax, practise sports and get to know the culture of Val Venosta. Here you will have fun discovering the surroundings of Tubre and the valley. 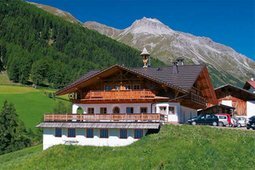 The farmhouse Patzauhof is located above Sluderno, with an impressive and unforgettable view of the mountains. Here you can escape from the noise and stress and you can spend a relaxing holiday in contact with nature. The Lechthaler family welcomes you in the farm Walterhof with cows, cats and rabbits. 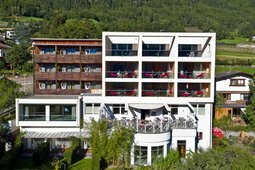 At the Walterhof you will find a familiar ambience and you will be able to relax and enjoy the surrounding nature. 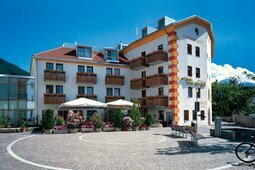 The family run Hotel Panorama, in the sunny village of Malles/Mals, is certified since October 2002 as "BIO Hotel". You can find 100% Bio-quality not only in the food and drinks, but also in the ecological manufacture of the bedrooms. Located in an extremely peaceful and sunny position, the Montecin Hof is only about 10 min. by car from the centre of Malles, the main village of the Upper Val Venosta. The area is pointed with old Romanic churches, important historical hamlets and archeological sites. 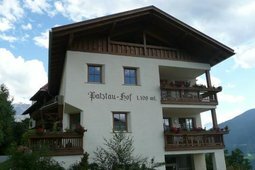 The Apartments Röfen Hof are located in the skiing and hiking paradise of Mount Watles at an altitude of 1650 m. They offer superb views of the valley and the peaks of the Ortler group. The quiet and sunny location is ideal for stress reduction and relaxation. Hotel Engel is a hotel featuring traditional furnished rooms which have all been enriched by lovely details. 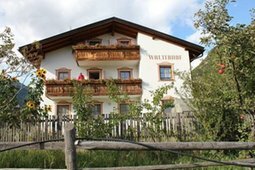 It is a charming, South Tyrolean Hotel, peacefully located at the centre of Sluderno, in the hearth of Val Venosta. 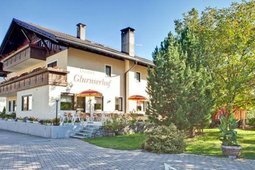 The Garni Glunserhof is situated in a calm environment near the small, medieval city of Glurns. 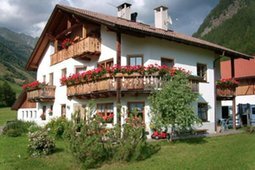 The Bed&Breakfast offers a free and private car parking and the cycle track "Via Claudia Augusta" near the house, which goes until Meran.